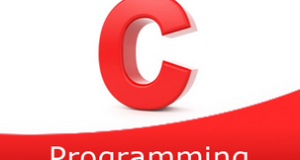 C program to count the occurrences of a character in a given string – In this article, we will discuss the various means to count the occurrences of a character in a given string in C programming. As you can see in the image uploaded above, firstly, you need to enter the string concerned. The string here, in this case, is “welcome to cbeginners”. Later, you have to assign a particular character to be searched in the string. Character ‘e’ is to be searched in the said example. Thus, character ‘e’ occurs around 4 times in the whole string. Count=0,Read the entered string as gets(s). 2) Read the entered character c as getchar(). 3) Compare the entered character with the elements of the string using for loop with the structure for(i=0;s[i];i++). If the character match with s[i] then increase the count value by 1. 4) For each occurrence of the character, the count value will be increased. So after all iterations of for loop, we will get total occurrences of the character in the string. a) Compare the given character with all elements of the string using for loop for(i=0;s[i];i++). b) If it matches with the element of the string then increase the count value. c) The function returns the count value to the main() function then main() prints the count value. The function returns the default count value if there is no element exist in the string. The function compares the s[i] with the entered character. If both are equal then it increases the count value. The function calls itself recursively until s[i] becomes null then the function returns the count value to the main() function. 3) The main() function prints the count value.